Come for the shiny new coat of paint, stay for the raw power. 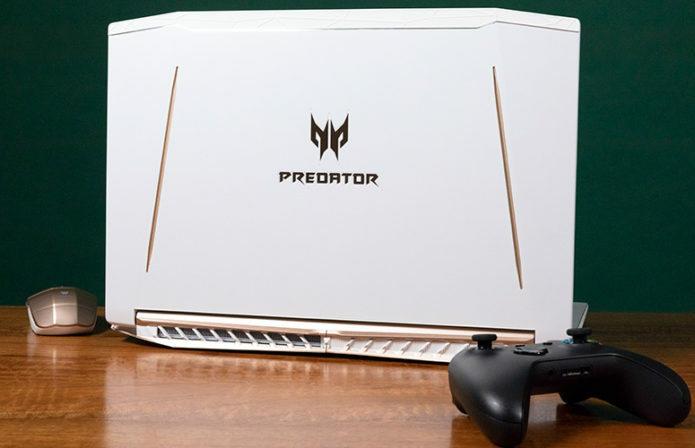 For $1,399, the Acer Predator Helios 300 Special Edition offers a strong 8th Gen Core i7 processor and an overclockable Nvidia GTX 1060 GPU, which remain relatively cool under pressure. Despite that, the battery life is shorter than competitors and the speakers sound unusually muted for a gaming laptop. And while it’s nice to see a new color scheme, the Helios 300’s design doesn’t look all that great. The Helios 300 does, however, have a gorgeous 15.6-inch, 144-Hertz panel and a comfortable keyboard, making it a solid mainstream gaming laptop.